After making the decis ion to buy a home you need to start considering mortgage financing. Twenty years ago that would have meant a trip to your local bank for a loan. If you wanted to shop around for a mortgage that mean a long and tiring process. A mortgage broker is a home loan expert who will look at your current situation and financial requirements. They can shop around for you, looking at various lenders in order to find the best possible deal to finance your home loan. 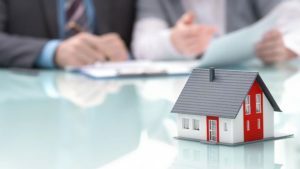 Since a mortgage broker understands the criteria used by lenders to evaluate a borrower, they are able to make sure you provide all of the necessary information with your loan application so that the process of obtaining the loan goes smoother. This often means a faster loan approval. Also, mortgage brokers have access to loan products from different lenders, which means they are flexible when it comes to the choice of loan types and interest rates. They can help find a loan from people in many different types of financial situations. How Many People are Using Mortgage Brokers? Many people don’t realize that mortgage brokers write over 50 percent of all Australian mortgages. Now only will a mortgage broker help a person find a loan with the best rate and terms, they will also help the borrower understand the lending process and if necessary negotiate with the lender on your behalf if you have less than stellar credit. Before choosing a mortgage broker, shop around. The mortgage process can be lengthy, so find someone that you feel comfortable with. Many mortgage brokers have an online questionnaire for you to complete. Someone from their office will contact you after receiving your information to determine how they can help you and to provide information about their services. By applying to several mortgage brokers, you can determine which one is best for you. Before providing additional information, make sure to ask about how they get paid and if they charge a fee for specific loan products. These Days are Mortgage Brokers Regulated? When you choose a mortgage broker, make sure they are a member of the Mortgage Finance Association of Australia (MFAA) or the Finance Brokers Association of Australia (FBAA). Members of these two groups must adhere to certain professional standards in order to maintain their memberships. When selecting a broker to work with, don’t just look at the ones offering the lowest interest rates. Sometimes the ones with the lowest rates are charging the highest fees. That’s why it’s important to look at the rates, the fees, and the mortgage broker’s reputation. One of the best sources of information about local mortgage brokers is your professional real estate agent. They can often provide you with a list of mortgage brokers in the area. You can also ask family members, friends, and co-workers. You’ll feel better doing business with a mortgage broker who was recommended by someone you trust.